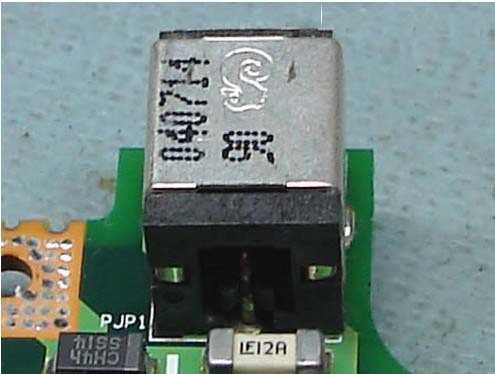 This guide will explain how to repair a failed or loose DC power jack on a HP laptop computer yourself, some of us may think that is the hp smart adapter question if the charger can not fit the laptop DC jack well, few of us may know the question could be also from the laptop. "Disclaimer: I've made these instructions only for people experienced with soldering and repairing computers. 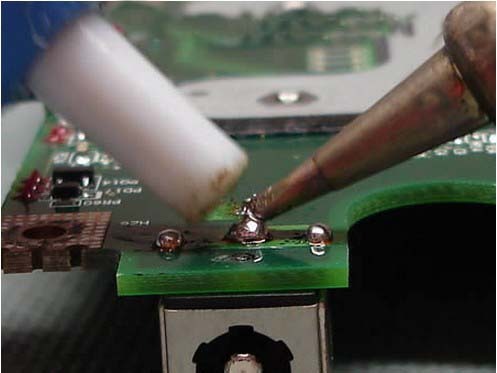 If you don’t feel comfortable doing this job, please do not open the laptop or you can permanently damage your computer. 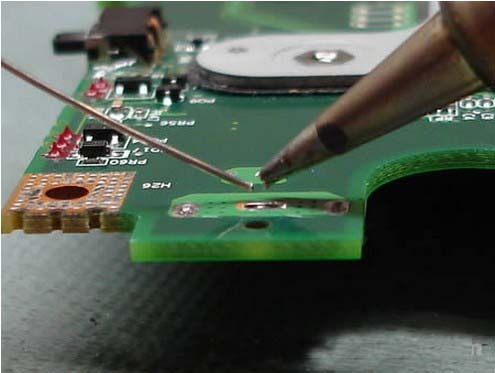 Take your laptop to a professional repair shop instead." "For this repair you’ll need the following tools." Soldering iron or soldering station. 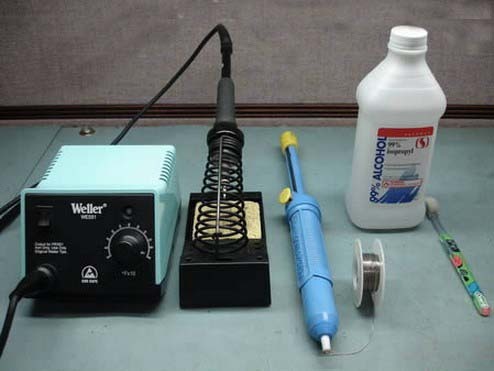 I use Weller WES51 soldering station and for this job I set temperature to about 800-850°F. 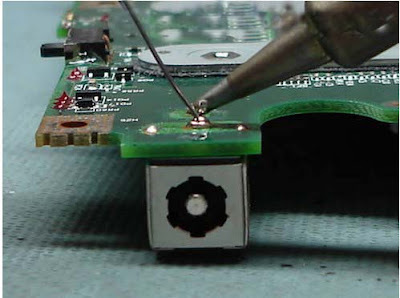 I use high-tech rosin core silver-bearing solder from Radioshack with diameter 0.022″ ( Catalog #: 64-013 ). I think standard rosin core solder will work just fine. Desoldering pump for removing solder around component leads. I use Edsyn Soldapullt pump, model DS 017. 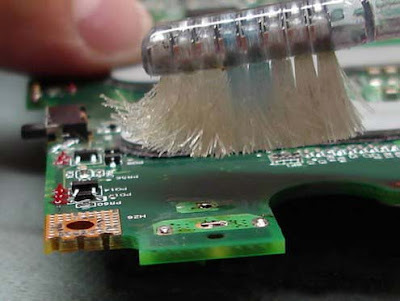 99% isopropyl alcohol and tooth brush for cleaning the motherboard from flux. A new DC power jack, you can find a cheap one here. 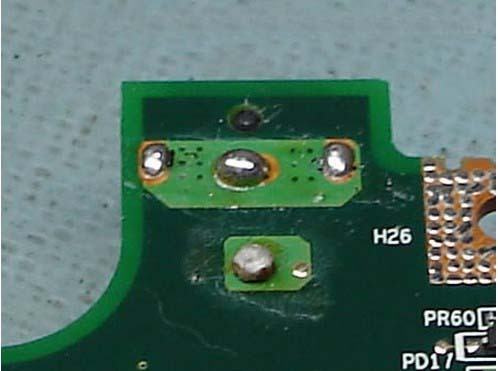 As you see on the following picture, the solder drop on the positive terminal looks different than on other three contacts. That’s where the problem is. 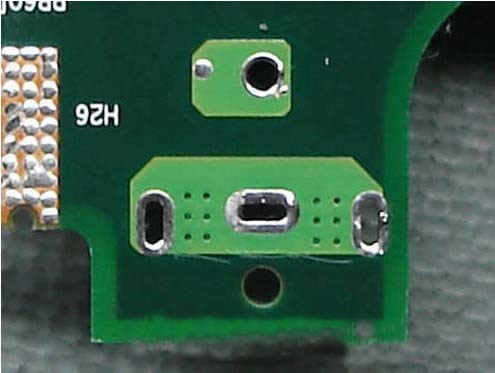 The positive pin is not making a good contact with the motherboard and because of that power to the laptop cuts off when I move the power plug inside the power jack. I’m going to solder the power jack from the motherboard, clean contacts on both power jack and motherboard and then solder it back in place – this is the proper way fixing the power problem. Be careful. Inside the positive hole there is a copper sleeve which connects the terminal on one side of the motherboard with the traces on the other side. If you are removing the power jack with force, you can pull the sleeve from the hole. You don’t want to do that. 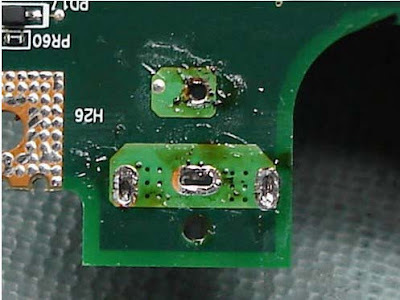 So, do not apply any force and make sure the solder is melted when you are removing the power jack. I hope you understand what I’m talking about. 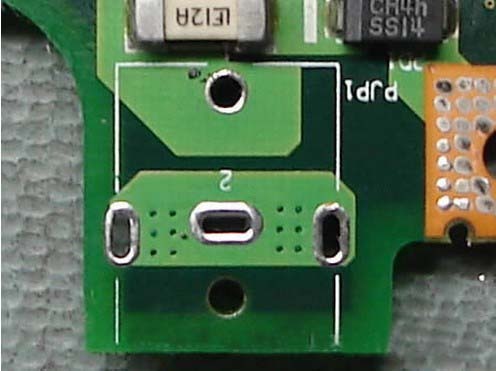 The power jack terminals will look dirty because of melted flux. 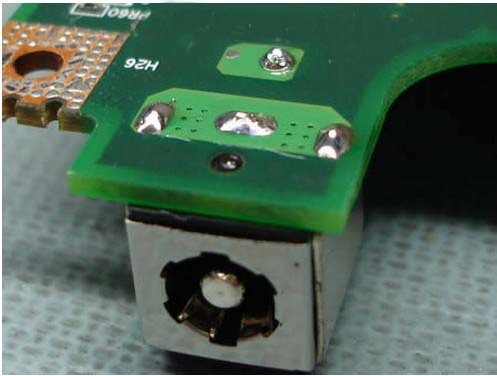 You can remove the flux using the tooth brush and alcohol. 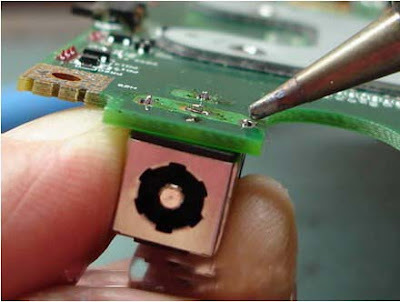 It’s not necessary but it will make your job looking clean. 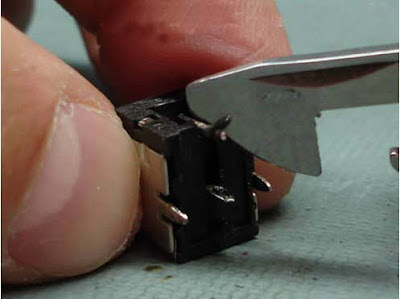 Apply a fresh coat of solder to all power jack terminals on both sides of the motherboard. This side has been coated. And this side has been coated too. 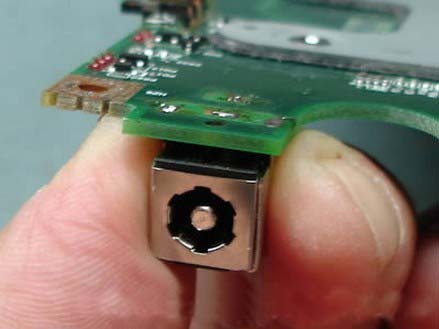 Now you can install the power jack back on the motherboard. Put something under power jack so there is no gap between the jack and the motherboard. 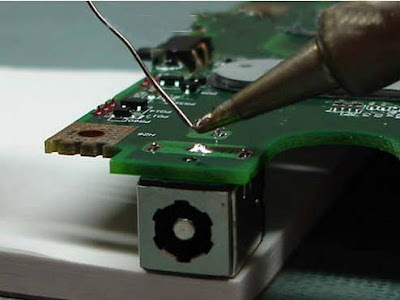 Now you are ready to solder the jack back in place. 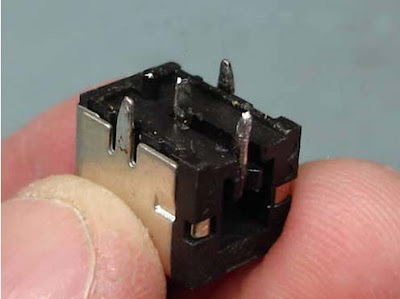 Solder all power jack pins. 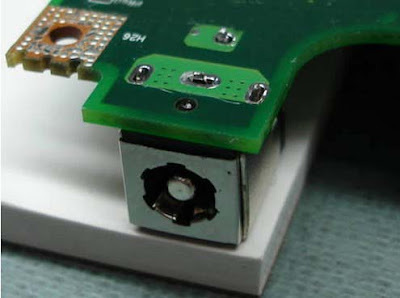 The job is done and the laptop DC power jack is fixed. B-E-A-utiful! Now just install the motherboard back into the laptop and you are done.